As with all our products it is handmade from FSC timber from sustainably managed forests. 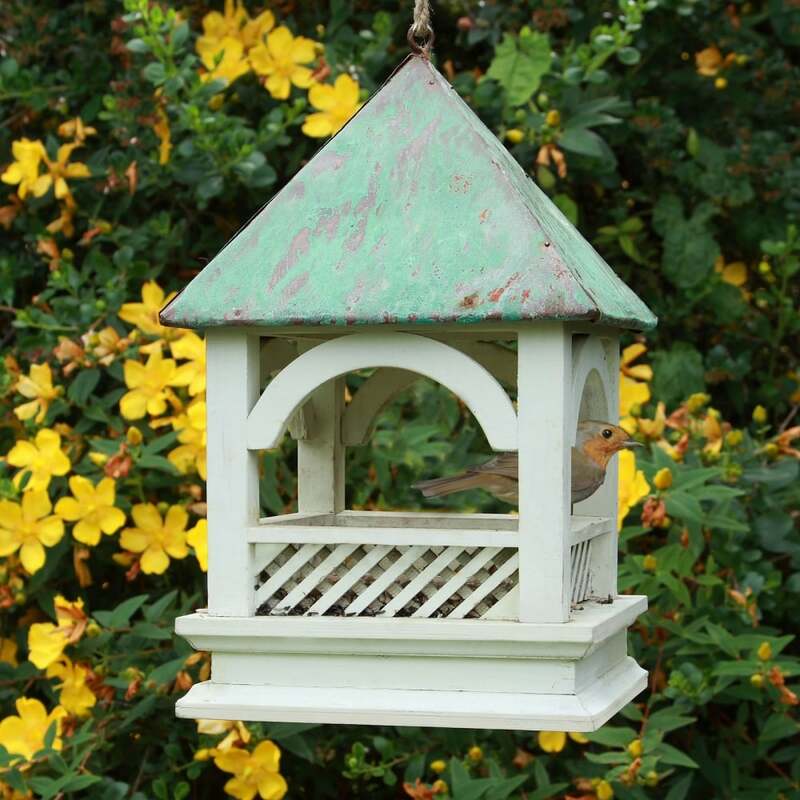 It features intricate lattice woodwork in a painted green finish, with a real verdigris copper roof and a natural rope for hanging. Unlike most bird tables which are tricky to clean and become messy, the Hanging Bempton has a clever side panel and tray which lifts out for easy cleaning. This also gives access so the inside edges of the bird table so they may brushed out removing any old food which may harbour bacteria. This allows excellent standards of bird hygiene to be achieved. The ballustrade of latticework and arches around the Bempton provides a safe area for smaller birds to feed. This restricted access prevents larger species such as crows, pigeons, magpies, seagulls from being to access the food and also provides safety from predatory sparrow hawks. A bit about the brand: Wildlife World are designers and manufacturers of wildlife products & provide homes for all types of birds & bees, beneficial insects, frogs, mammals and minibeasts.